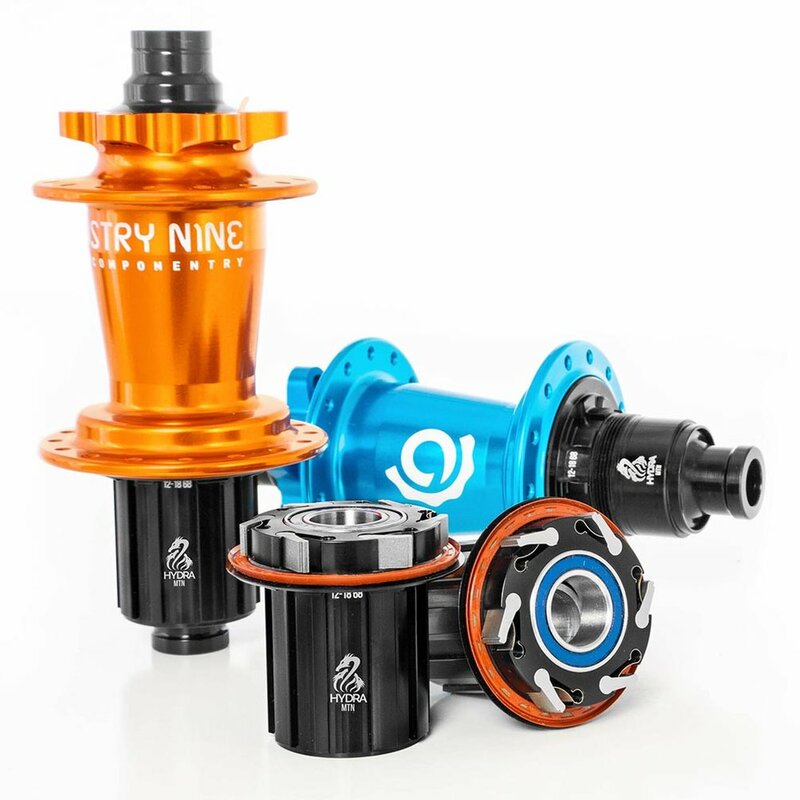 Industry Nine just dropped their new range of Hydra hubs with an amazing 690 points of engagement giving them the highest engagement of any pawl hubs on the market. The new Hydra, has a 115-tooth drive ring and six individually phased pawls, equally spaced from each other. This means that all of the pawls catch the teeth on the drive ring individually instead of simultaneously, so each time you move the drive ring one tooth over you’ll get six individual clicks. Only having one pawl engaged sounds strange but the big point of difference with the Hydra system is that it uses the inherent flex in the drive system to transfer the torque and ensure that a single pawl will never take the entire load. This is where the Hydra system has an advantage over a traditional pawl system where the flex is harder to manage. Industry Nine say the six pawl system limits and minimizes wear and tear on the hub and provides a better smoother ride. The new phase of INDUSTRY NINE is the culmination of innumerable miles on the bike and hours in the shop. An evolution from previous drive systems, our new HYDRA drive is a project over two and a half years in the making. Hydra rewrites the rules with a monstrous leap to 690 points of engagement, or .52° between each engagement. The new Hydra drive system raises the bar on hub technology using an independently phased six pawl, 115 tooth drive ring. Hydra evolves the performance of our 2019 mountain and fatbike range in both Classic hubs and premium. System wheelsets including our steel spoke S-Series. 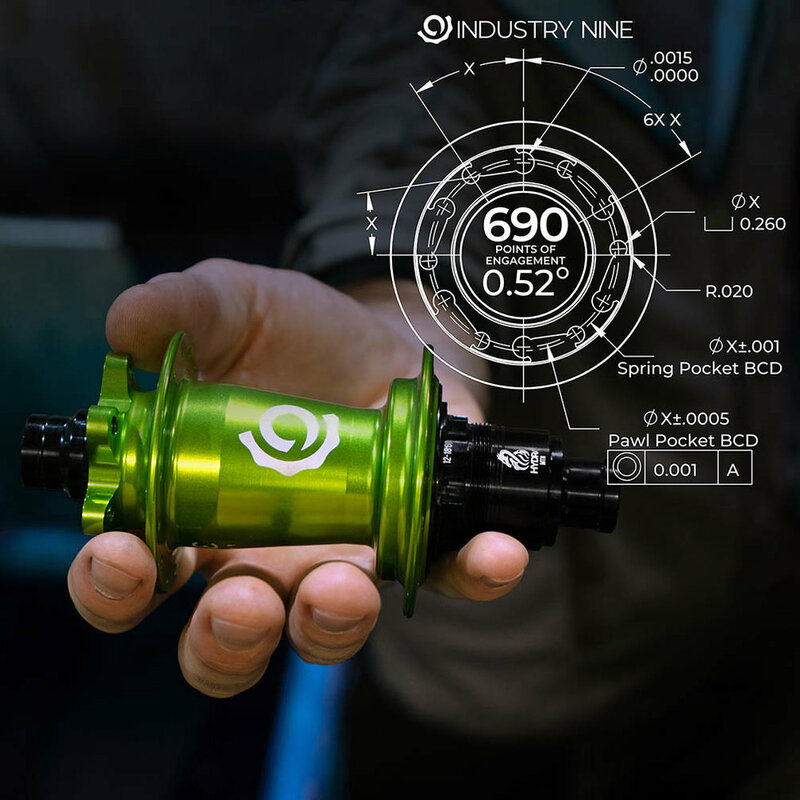 As always, riders can find their perfect adaptations with a universe of fitment, freehub bodies, hub and spoke colors, wheel models and sizes.